When thinking about it there is no reason major sports leagues like the NFL and NBA should keep their anti-trust exemptions and be protected from outside competition. Doing so is anathema to the ideals of capitalism and limits the economic growth of each sport, hurting the consumer and the sport itself. Gosh darn it, it hurts America! Switching to a system of promotion and relegation would multiply the economic reach of each sport within our country as well as increase the quality of the athletics for the spectator. It might even lead to a World Cup trophy one day. If you do not know how relegation and promotion works within a league, we will use England’s Premier League system as an example. This same system is repeated across every team sport in almost every country in the world. The Premier League is comprised of the twenty best teams in English football (soccer). The twenty teams competing in the Premier League each year have no right to be in the league other than the right they have earned through past performance. 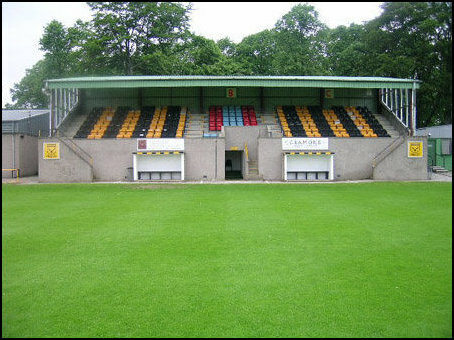 The three teams which finish at the bottom of the standings at year’s end are subject to relegation to a lower league. Oddly, England’s second tier league is called “the Championship”. Teams which finish at the top of the Championship are promoted to the Premier League. This process is repeated throughout the multi-league structure. How many leagues are there? It depends on how many eligible teams there are within the overall system. 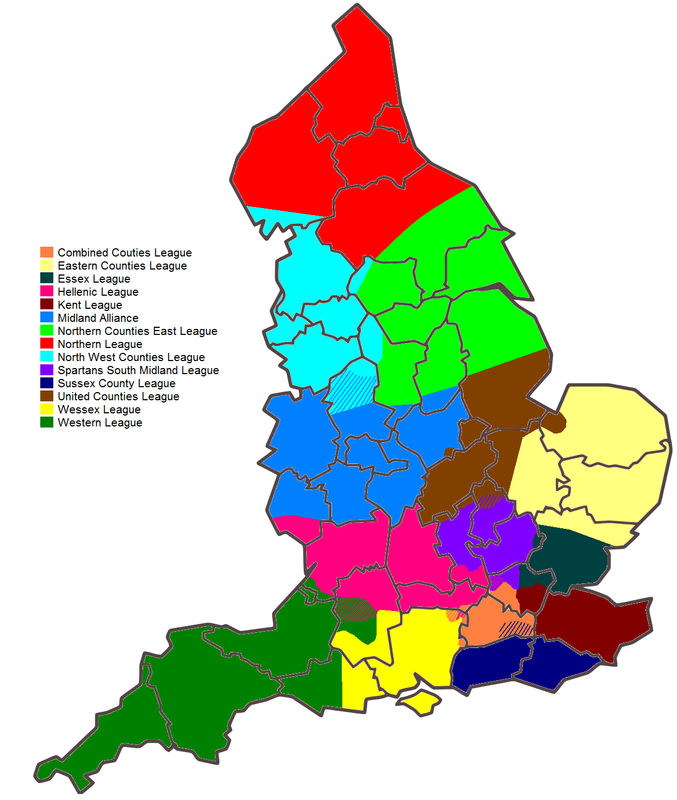 In England, there are currently five leagues considered professional national leagues. Below, there are seemingly countless divisions of professional and semi-professional leagues, eventually split among geographic regions. The beauty of this system is it is open, inclusive, and creates natural incentives for success. It allows the sport to grow unconfined by the top league. If you or I wanted to own a professional football club in England, we can start one without having to save billions to buy an existing team. It does not mean you can get ten of your friends together and start playing. Each country’s association sets up different requirements for starting a new franchise. This usually involves approving an organizational structure, modest stadium or field requirements and perhaps capital requirements to ensure the new entity has money to survive a season or two. But this is far from the 40,000-person stadium and capital reserves of 1 Billion or more it requires to get an expansion franchise in American sports. Starting on the bottom league generally means having a field with a seating capacity of the 10,000 with capital requirements affordable to entrepreneurs or small business ownership groups. So why do this? Why shake up everything? After consideration of the benefits there are no reasons to not. I dare say logic and the current state of our economy require it be done. We will talk more about the economy below but let us first focus on how relegation and promotion is likely to affect the quality of athletics. In this system there are no Cleveland Browns or Jacksonville Jaguars stinking up the field every year and making us wonder how a team could be so bad for so long. You do away with pathetic losers. They and their inept management would be shifted down the league rungs accordingly until they were placed in a league commiserate with their abilities. I know it may be harsh to call those teams pathetic losers. Especially when the truth is current league structures create no incentive for bottom teams to compete. They can collect a check in last place. Why worry about winning too much? The Florida Marlins are a prime example of this business model: spend nothing on the franchise; sell successful players at every opportunity; lose the vast majority of years but always rake in profits. Every now and then you may luck out and still win it all (not if you’re Cleveland though). These businesses are designed to earn money and not win games because the system makes it so that they can earn money without winning games. The incentives are misaligned and we all suffer because of it. Relegation and promotion ends this nonsense. In the Premier League each team receives around 50 million pounds for its operations derived from joint revenues, TV rights, etc. This revenue sharing is similar to the NFL except of course if you lose too many games you are booted from the Premier League. Contrastingly, you can go 2-15 forever in the NFL and always collect your check. 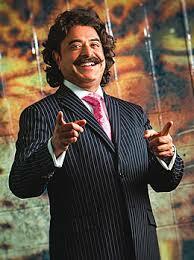 The Jaguars are laughingstocks but at least they are rich laughingstocks. In England (and the world), teams who get relegated will receive the apportionment equal to every Championship team but it is much less than the amount given to Premier League teams. These apportionments continue in decreasing amounts down the league rungs until at some level there is no apportionment. Those lower teams must survive economically on their own and based on their own management/ownership skills. The apportionment is usually only given to teams in national leagues since it is important in offsetting travel expenses. A system of relegation and promotion would replace bottom feeder teams with new, hungry, successful teams that have earned their spot through their recent success. Out with the old and lazy and in with the new and ambitious. Another complaint many raise about the NFL is the style of play is not diverse unlike college where teams which run standard NFL-style schemes play against whacky high-flying Mike Leach offenses or run-read-option teams and everything in between. Across several professional leagues styles of play and innovations to the game would certainly be as diverse as college athletics. Likely more diverse since the coaching staffs would not be constrained by NCAA time limitations about meetings and practices. Popular players like Tim Tebow or Vince Young or Michael Sam would not have to ride the bench or be excluded from the sport if they cannot find a job for one of thirty teams. There would be hundreds of teams available to these players whether it be in the top league, second league, or seventh league. The debates amongst obnoxious talking heads opining about the capabilities of said players would be settled on the field. This is true for every sport. The best part for the spectator is the drama. More meaningful games at the top and bottom of each league means more last minute drama and magic moments. Tense finishes would unfold across each league towards the end of every season as the next round of relegation and promotion approaches. Teams desperate to advance and desperate to avoid relegation provide some of the best moments often from lower leagues. Remember how Manchester City won the Premier League in 2013, scoring two goals in the final five minutes of their last tie to edge Manchester United. It was heralded as the most dramatic final day in Premier League history. But there was better drama in the league below. My personal favorite is this ending from the Championship a few days after Aguero’s famous winner for Man City, between Leicester City and Watford. Both teams were fighting for a spot in the Championship final and potential promotion to the Premier League. It’s 2-2 on aggregate with Leicester City already in the ascendancy based on away goals. Watford desperately need a goal but Leicester City has been awarded a dodgy penalty in the 95th minute, much to the overwhelming anger and dismay of Watford fans…. Broaden the sport and you broaden the fun for spectators by creating more magic moments. While increased competition, innovative coaching, creative playing styles, great drama and removal of consistent losers should be enough to get every fan of team sports on board, there is a more important reason to support relegation and promotion: economic impact. America needs it. In the NBA there are thirty teams, thirty owners/ownership groups, thirty GMs, thirty accompanying staffs and player rosters. It all adds up to a few thousand people involved in the sport making incomes they spend in their communities and taxable to local, state, and the federal governments. Along with the direct employees paying their bills and taxes, there are many thousands more whom rely on the income the sport creates including support staff, stadium vendors, merchandise manufacturers, hotels workers, security staffs, local law enforcement agencies and so forth. With all of these people getting paid, they pay their taxes and buy the goods and services we all do and which helps our economy. Professional sports are not just innocent pastimes anymore. They are major economic forces which affect a lot of lives. Unfortunately, the potential economic impact and benefit to us all either through direct or indirect employment or tax revenues is limited to preserve the status quo of current monopolies. 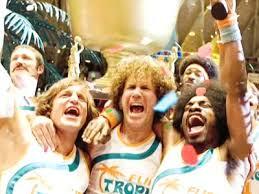 In a system of relegation and promotion, there would not be thirty professional basketball teams. There would be hundreds broken accordingly into various leagues both national and then regional stacked in a clear hierarchy. Accordingly, there would be multiple the amount of executives, managers, trainers, vendors, manufacturers and athletes needed in such a broad system. Concerns regarding minority ownership of sporting franchises would be resolved by broadening the sports to allow for new teams in every city in America. The expansion of professional sports may be the largest one-off job creator our country could muster. And unlike other industries, these jobs cannot be exported to China. If that ever happens please take the Jaguars first. Is there any city in America with more than 100,000 people that would not have a professional basketball team placed in the overall league system? Per the 2010 Census, there are 298 cities in America with more than 100 000. Cities like New York, Chicago, and LA would likely have more than ten. By example there are over 30 football clubs in London in the top eight leagues, six of which are currently in the Premier League. Further, American players not able to make the roster for an MLS or NBA team will no longer have to travel to South America, Asia, or Europe for development. Granted only those in the top league would make the audacious salaries we all would want on our paycheck but they and their team would have a direct path to the top league with promotion providing the incentive. If you want that payday, then win enough and you will get it. Television revenues would increase exponentially. Although the amount of parties taking a cut would also grow, stations would have an over abundance of sports programming to fill every day of the week. While national broadcasters may not pay for and carry every game of a third tier league, regional broadcasters and local broadcasters of involved teams would reap the benefits of this expansion as well as online providers. And if adopted, how this would affect the current sports hierarchy in this country? It is unlikely the NFL would make such a dramatic switch. They are the kings of the sports landscape and have no incentive to change. Only an Act of Congress (removing the anti-trust exemption) could force the issue. And we are unlikely to get legislative action from our defunct Congress to do anything much less change a profitable and popular entity like the NFL for some zany foreign idea. But while the NFL is king a rebellion in brewing. The various scandals and continuous rule changes continue to hurt their brand. This creates an opportunity for other sports leagues to broaden their base while the NFL fumbles the ball. No sport would benefit more than American professional soccer and its top league, MLS. While the beautiful game has grown steadily in America since World Cup 94 it can never compete with the NBA or NFL. Even a self-loathing, scandal-ridden NFL will always win unless Roger Goo-doofus bans all hitting or something incredibly stupid. I am not ruling that out. But as is, professional soccer is condemned to compete with hockey and nascar for fourth place. By adopting relegation and promotion first, professional soccer would be the largest sport in America in terms of participants, teams and fan bases within a couple of years. This would be true as well for the NHL and moreso for the NBA. Soccer would not be the wealthiest though. Let’s not get too far ahead of ourselves. At least not yet. But they would be the largest sport in terms of scope and with that largess the sport would grow organically with fan bases growing around successful local clubs in every corner of the country. 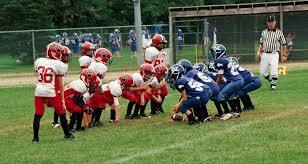 There would be an immediate boost to the development, evolution, and depth of American players. Thousands of players leave collegiate athletics each year giving up their careers and ending their development at 21 or 22. For many this is a choice but for many others it is a reality without a choice. Not good enough to play in the MLS or NASL (or NFL or NBA) and without the means to locate a tryout abroad, their careers end not because they should but because the system we have created dictates they end. We do not have late bloomers in American sports because we extinguish them. It is difficult to project a players future by the age of 21 or 22 or even 25. We search for the early prodigies at 18 and younger yet they often fail to develop as we hope. Promotion and relegation ends this and provides opportunities for the natural development of thousands of athletes who would not have had the chance otherwise. The United States is the third largest nation on the planet in both population and landmass, spanning an entire continent and then some (Hooray for Hawaii!). Comparatively, England is tiny in both size and population yet there are hundreds of professional football teams in England. It is difficult to over-estimate how broadly professional soccer would grow its talent base, coaching pool and overall exposure by shifting to such a system. Its far-reaching effect on the sports landscape would only increase over time as the sport would enjoy a natural competitive advantage over NFL, NBA, and MLB. This diversification of American soccer would allow for a quicker evolution of the best American players. Relegation and promotion creates a laboratory effect which judges different styles of play, management techniques and recruiting tactics. Kind of like capitalism. It rewards successful squads and smart management and punishes others. With teams around the country in an interconnected system of leagues and coupled with America’s natural diversity and size, we would get to see a variety of playing styles from Brazilian dribbling to German efficiency. 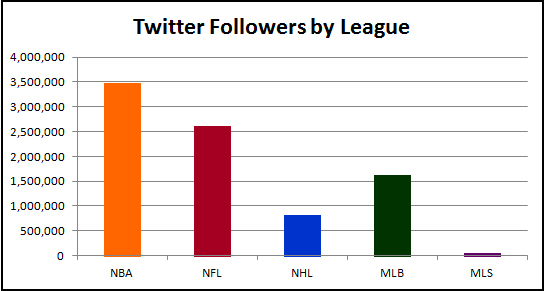 As the sport broadens and better teams move up in each league, interest will grow correspondingly. This fan interest is less likely to be from fickle fair weather fans but rather from those whose interest has grown along with their local club. They are likely to remain loyal to the team through thick and thin and remain interested in the overall sport through the long run, teaching their love of the game to the next generation. But why would any current team owner of any league agree to do this? Wouldn’t they risk getting booted out the top league by voting for this? Yes. It is always about money. Imagining MLS were not a single entity, take a look at the Seattle Sounders. The Sounders are the most marketable team in MLS with a large fan base. Currently, their estimated value is about 175 Million. Not too shabby but pale in comparison with the value of an NFL team, NBA team or MLB team. 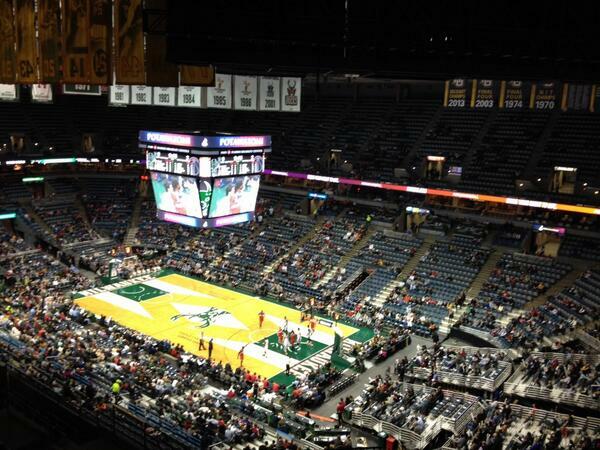 Forbes lists the cheapest NBA franchise (Bucks) at 405 Million. With the league constructed as is, the Sounders and every other team in MLS will always be worth fractions of the worst teams in other sports. This will not change until professional soccer finds a way to grow the sport, market base and TV revenue. In doing so, they must compete directly against long established and successful American sports leagues. Promotion and relegation gives professional soccer a unique competitive advantage which mirrors and re-enforces long-standing American ideals of capitalism and merit-based advancement. An advantage which rewards bold and innovative coaching styles, successful talent scouting techniques and works to evolve and grow the sport organically over time. Want to win the battle of the American sports marketplace? Promotion and relegation is low-hanging fruit which can pave the path to prosperity. The NFL is king today and for the foreseeable future but there is a way to steal their crown.